Our veterinarian, Dr. Howard, is proud to offer premier veterinary services to the Ogden, UT community. Our standard of care goes above and beyond expectations to ensure that your pet is receiving the best treatment while in our hands. Our services include preventive & diagnostic care for dogs and cats from pediatric through geriatric. Whether you just got a new puppy, or your cat has been a constant part of your family, we can provide the comprehensive care they need. We also offer pet grooming and boarding. When your pet boards with us, our veterinarian and technicians are available during office hours to monitor your cat or dog closely and manage any problems that may arise. In addition to our routine services, we offer advanced dental care. Dr. Howard has a special interest in pet dentistry and has created a protocol for dental care like no other veterinarian in the area. Beyond first rate pet care, we make our clinic comfortable, kid-friendly, and calm so your pet can relax in the waiting room and look forward to meeting our Ogden veterinarian. Complimentary refreshments, a TV, and a kids playroom all help the time to pass quickly if the need arises for a lab test or other procedure to be done during your pet’s appointment. Take a look around our site, and then call 801-689-2244 or contact us online if you have remaining questions. Dr. Howard and the staff of Wasatch Hollow Animal Hospital in Ogden, UT look forward to meeting you and your four-legged family member! Learn more about what our veterinarian, Dr. Howard, and the team at Wasatch Hollow Animal Hospital do for the local Ogden, UT community. 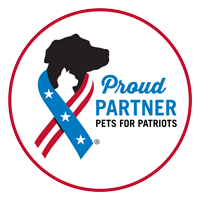 As another means of supporting our hero canines and their families, we have two programs available to assist in their medical care. We look forward to being able to keep active working dogs in tip-top shape and to provide our retired dogs with lasting comfort for their well deserved rest. Learn more about our ‘Balto’ Program > and our ‘K-9 Hero’ Program >.